Discussion in 'General Discussion' started by Mets, Apr 25, 2016. I've encountered many people who have wanted to play WC3 Banjoball, but did not have access to a retail copy of the game, so they never did. The good news is that now there is a way to play Warcraft III for free in under 10 minutes. 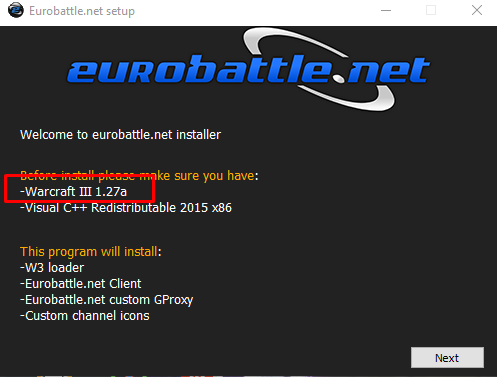 Eurobattle is the private server you have to connect to in order to play Banjoball for free. 1. Go to your Eurobattle folder and click on "xpam.exe"
What do? Installer v6 is asking me for 1.27a, how do I update the portable version? 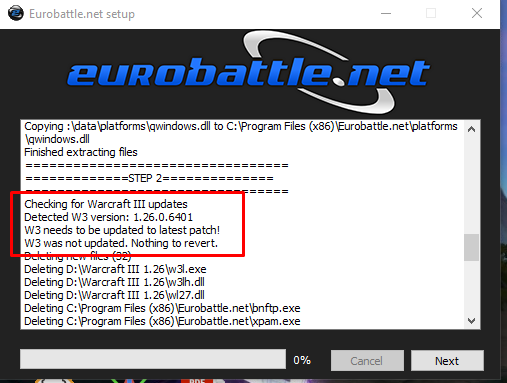 Try running WC3 (not through Eurobattle) and hitting "Battle.Net". Does it automatically patch for you then? I forgot that Blizzard released a new patch recently (for the first time in literally years) so the torrented version of WC3 will not be the latest one by default. It works now! Where do I find Cell's Mock draft?